The copy in Italian (shown above) was printed in the 1750s. The second book (shown below) was published in America. The verse is translated into English from a French verse translation made by Jean de la Fontaine in the 17th century. 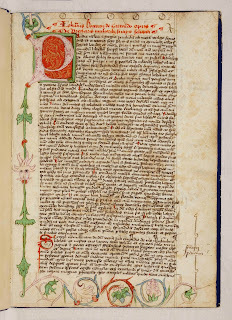 The manuscript (hand-written) copy of 'De mulieribus claris' (translated as 'On famous women') depicted in the images below was made in the early 1460s, about 100 years after Boccaccio wrote the original and 10 years before the first printed copy was made. In this work Boccaccio pioneered a new form of biography, devoted exclusively to women, complementing the biographies of famous men which had been the norm till then. 106 contemporary, historical and mythological women were included in the book. In the last image above, you can see part of the list of these women, including Cleopatra (listed about half way down). Pasolini’s 1971 film 'Decameron', which is an adaptation of Boccaccio's 'Decameron', tells 9 of the stories. Woody Allen’s 2012 film 'To Rome with Love' was originally titled 'Bop Decameron' as a reference to the Boccaccio, but many people didn't get the reference. Brown University’s Decameron Web is the gateway to a virtual community of readers and students of the Decameron. 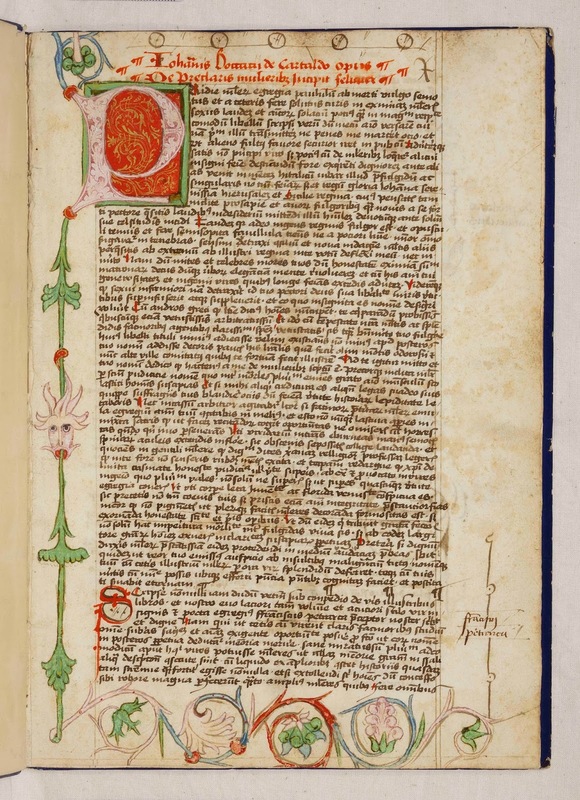 Boccaccio resources in the Sir George Grey Special Collections.